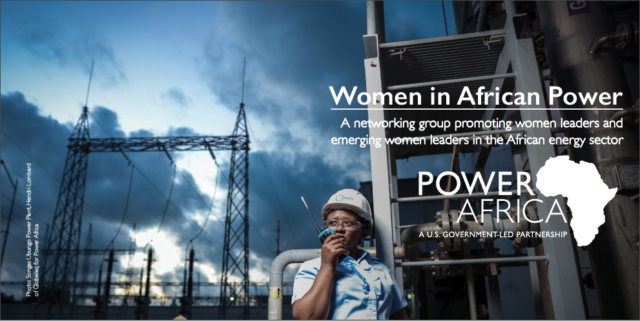 Power Africa launched the Women in African Power (WiAP) network to advance the participation and representation of women within the energy sector across the African continent. In this WiAP webinar, Building your personal brand in the energy sector, participants will learn how to strengthen your personal brand. A webinar resource that provides an overview of this session is available here. Worksheets on how to build and/or develop your personal brand are available here. View the video to learn more about Power Africa and Women in African Power (WiAP) in a webinar designed to introduce participants —particularly for women working in the energy sector—on ways to build a personal brand.